[re]think syracuse is beginning to pick up steam, and people are starting to notice. Recently, CNY Central did a great news piece about the blog, helping tremendously to spread it to a wider audience. 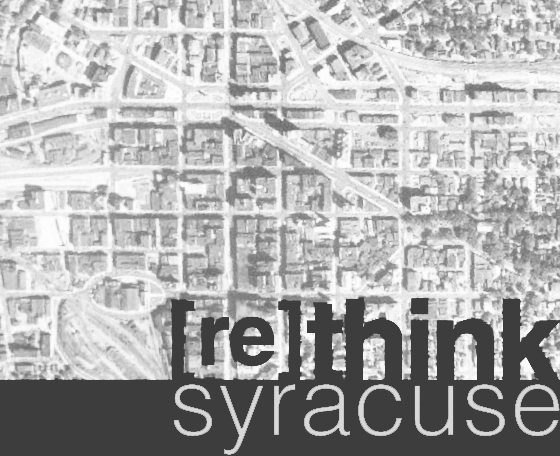 I'm very excited for the number of fellow Syracuse-champions that have offered their support and enthusiasm for this project, and I encourage everyone to open up a dialogue and comment on some of the posts below. For those that haven't yet seen the news piece, you can link to it here. Also, I've just set up an official [re]think facebook page to allow you to keep informed of blog updates, announcements, and upcoming interesting events.